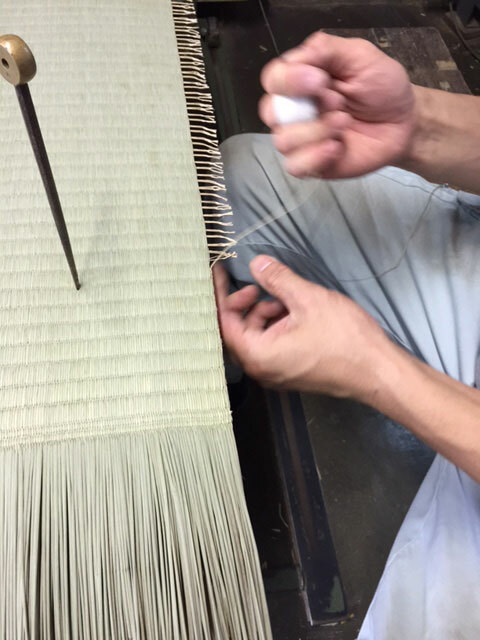 Our tatami is all made with the best quality materials by experienced craftsmen offering you a long lasting and refined product. 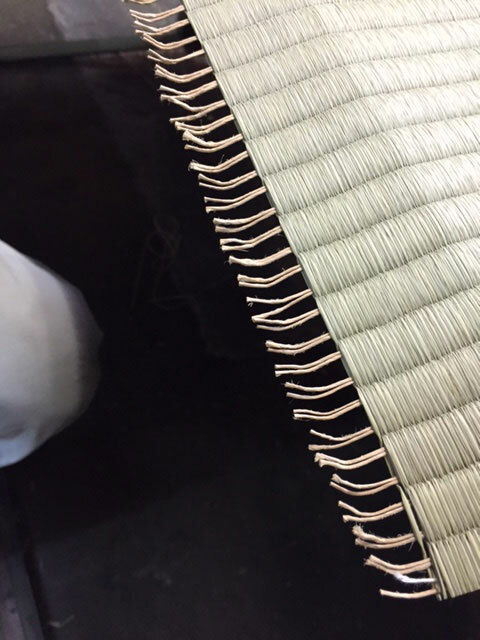 To prevent the igusa from fraying we finish the omote with a special technique. 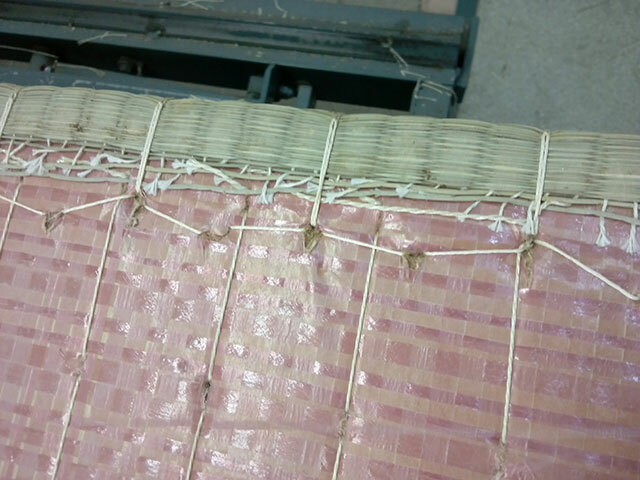 To prevent igusa from fraying, the edge of the omote has to be finished with thread or bonding agent. 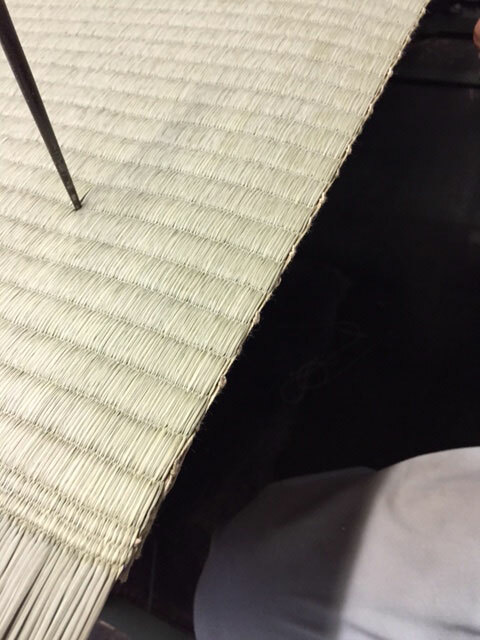 We use the technique called karakuri, this method is more elaborate and time consuming but ensures a perfect finish, this maintains the tatami’s original finish. 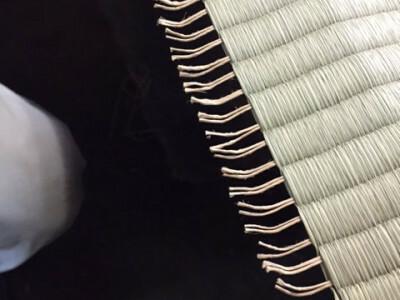 The natural tatami base should last a very long time. 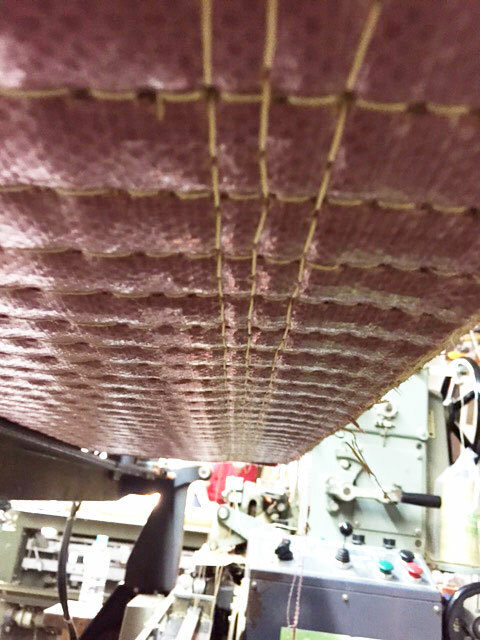 We enlist techniques to ensure its longevity even though this aspect is unseen in the finished product. 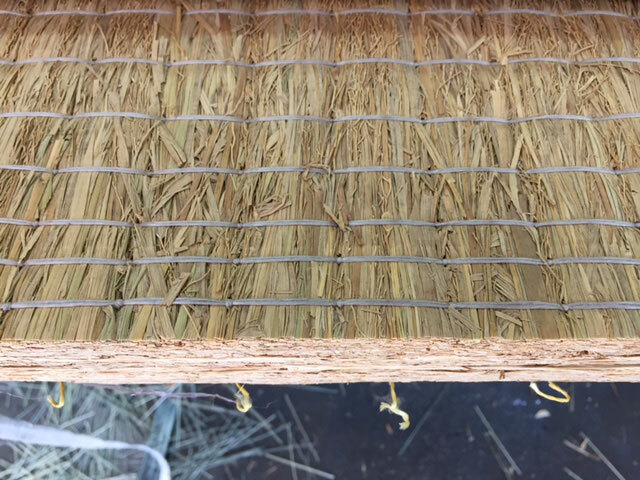 Generally speaking, when the natural base (made of 100% straw), is used, the straw are cut to length, fitting the size of tatami, and finished without treatment. Therefore, the section (cut end) swells after a while, resulting in holes in the omote due to the friction between the base and the cover (omote). (*Picture 4: ‘Kamachi’, a wooden frame used to hold the base in its original manufactured size.) The kamachi technique ensures the base will keep its shape. 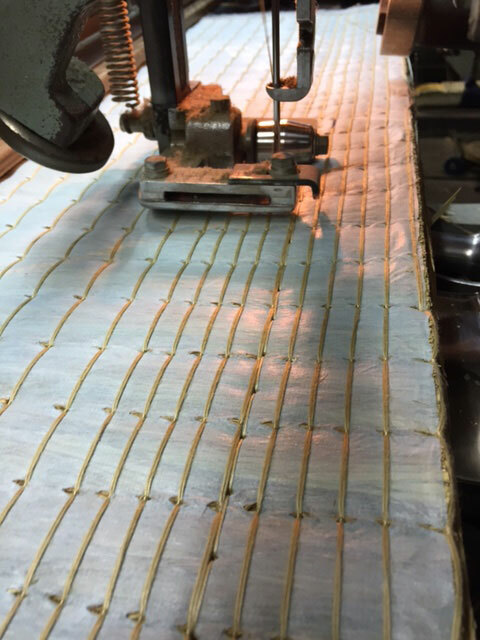 Although labor intensive and unseen, we choose to use this method. 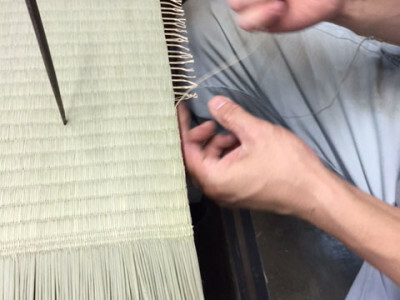 Many tatami are no longer made using this approach. 4. 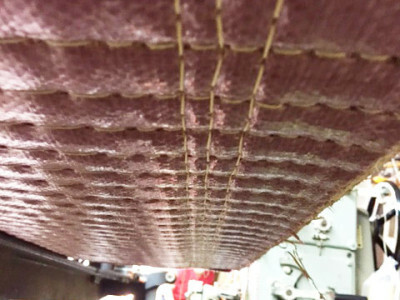 Damage caused due to friction of the base and the omote. 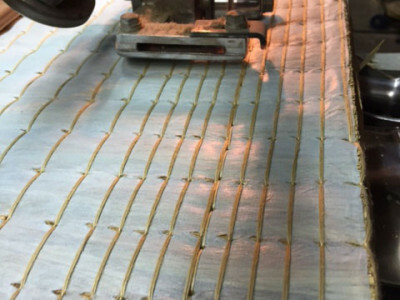 Finish and durability of the natural base will differ even when same materials are used. 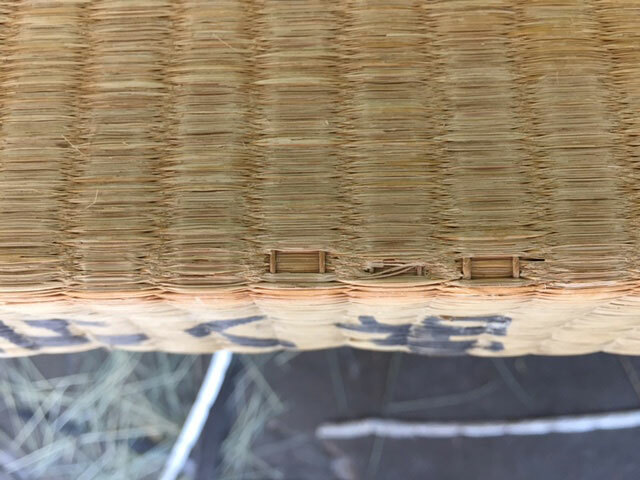 Although the natural base is unseen after production, its treatment can greatly affect the long term look of the tatami. We show here a comparison of the natural base; one using our method, securing the edges and the other without this treatment. 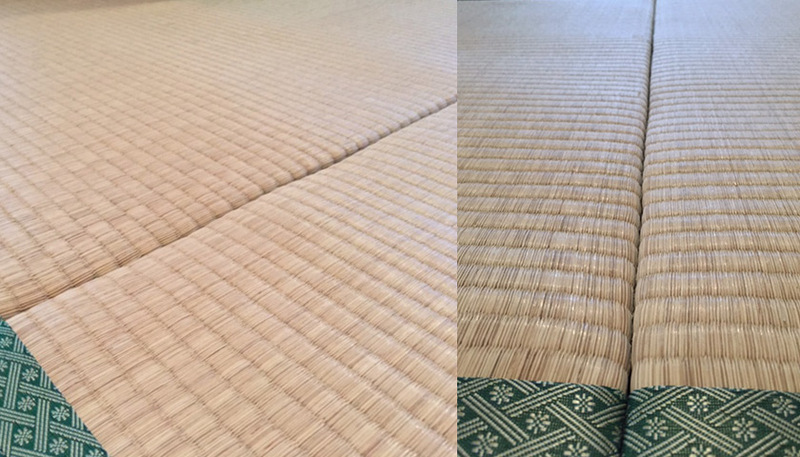 The top image shows the tatami we made, the image was taken three years after the tatami was installed. 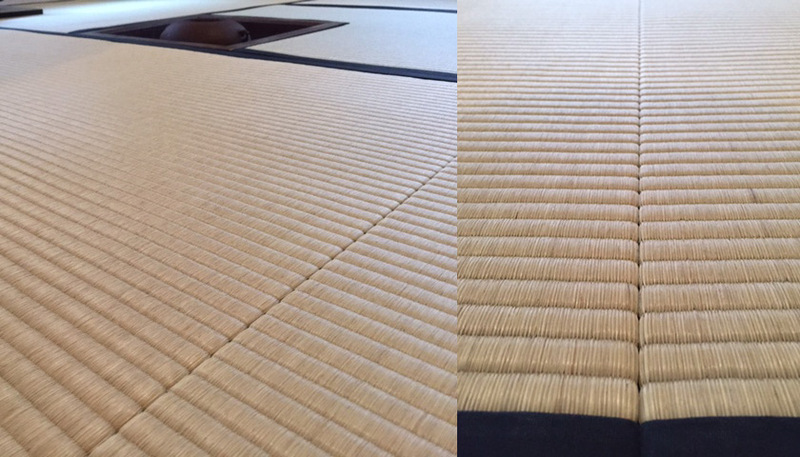 Tatami fit snugly, without distortion, lines are straight even, no swelling on the edge, and there is no difference of the surface level. 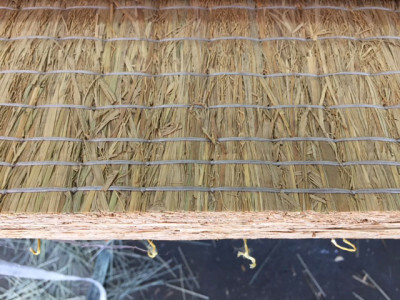 The second image is in the same building using the same materials but without the kamachi technique. You can see the line and level is not even. 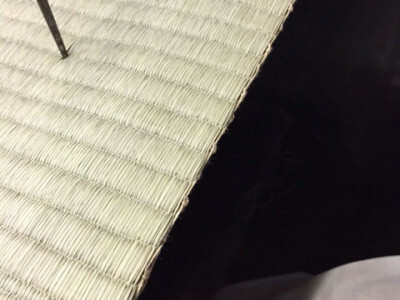 Using the same material, or even high quality material doesn’t guarantee finish and life, the craftsman’s ability and technique determine the life of a tatami.